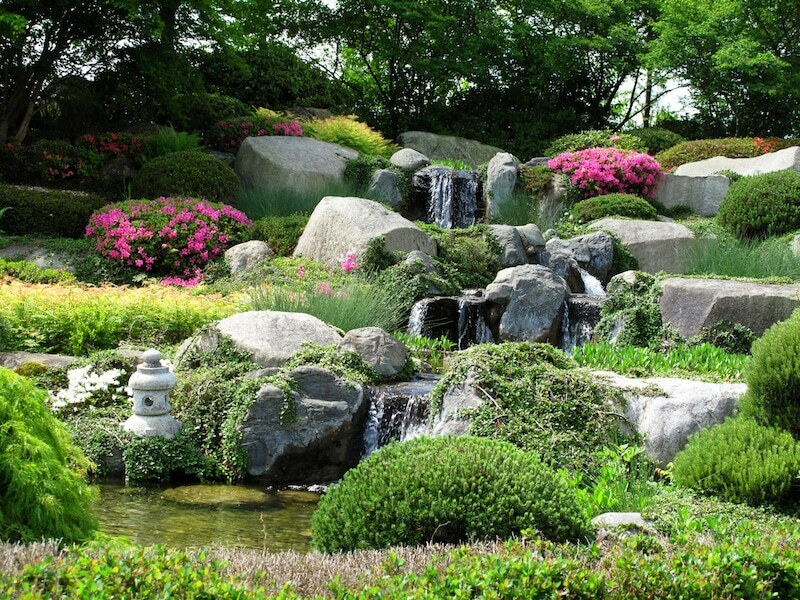 A rockery is the perfect addition to any garden. Firstly, it is a low-maintenance design piece, and secondly, it opens up your choice of plants. A rockery is used to create an alpine environment, which allows you to plant species that can only grow in rocky terrain. The other advantage of rockeries is that they are most suited to sloping areas that can present landscaping difficulties. Instead of spending thousands of dollars excavating your property remove the slope, why not turn it into a design and structural element of your garden. However, to mimic alpine conditions you need to put careful consideration into the types of rocks you choose, and where they are placed. Luckily, the expert landscaping team at Everlast Services have been researching and experimenting with rockeries for years, and they know how to give you one that provides you with the right slopes for your alpine plants. We’re a local, family owned and operated. We’re Australian owned and operated and always will be. We’ve got a stellar reputation in the Hoppers Crossing and the Melbourne Western Suburbs area and we’re committed to upholding it, that’s why you can always count on us for the perfect service and first-class customer care. All of our landscapers and landscape designers have been trained to the highest industry standards. You’ll have an expert team designing your rockery, and that means you’ll end up with an incredible finished product that will provide you and your family with enjoyment for years to come. We look after each phase of the project. We design the rockery, procure the materials, install it and clean up. That means you don’t have to worry about a thing and you only have to deal with one provider and one quote, and you’ll enjoy the famous Everlast Services customer-care from start to finish. Everything we use is manufactured in our Hoppers Crossing factory or procured from trusted local suppliers in Melbourne. That means we provide you with materials we back 100% and you also contribute to the local economy.